Our in-house event management team develops customized events, tours, activities, and programs created for the needs of your group. Charm City Food Tours, in cooperation with our sister company, 4Lobe Events Baltimore, provide a variety of private culinary-based tours, activities, and events for groups in venues and neighborhoods throughout Baltimore and greater Capital area Region of Maryland, Virginia, and Washington DC. Not sure which tour would be best for your group? We can adapt any of our tours/events to create the ultimate event, group tour, or other activity for you and your guests based on your particular desires and budget. We offer customized private Food Tours for groups of nearly any size (4-500+), where we divide large crowds into smaller, and more intimate groups minimizing the impact on the area being visited. 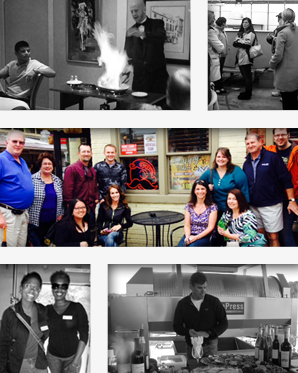 We bring additional guides and hosts on our food tours and events to ensure greater interaction, and assistance. Additionally, we have created a series of culinary team building events, designed specifically for corporate groups in search of creative and fun social outings in the area. We work closely with expertly trained chefs and certified sommeliers, which provide additional guidance throughout these experiences. Email our event staff at info@foodtourcorp.com or call us at 410-248-6726 to set up your group event with Charm City Food Tours! For any additional information regarding our culinary events, activities and food tours, you can call us at 410-248-6726, email us at info@foodtourcorp.com, or fill out the contact information below. A member of our staff will reply to all inquiries quickly any day of the week. 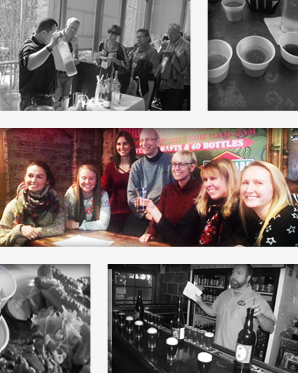 Our standard Food Tours allow guests to learn about an area's culture, history, architecture, local food and drink. During the fully guided Food Tour, historic and cultural sites are integrated seamlessly with visits to 3-4 popular local establishments, where we enjoy specially created dishes that represent the concept of the restaurant and reflect local taste. Our Market Tours offer an inside look at some of the most popular and iconic foodie markets in the region. During these interactive tours we stop at popular stalls to meet vendors and to learn about their history while sampling signature products. A more formal version of our standard Food Tour, a Dine Around offers a 6-course progressive meal served at 2-3 acclaimed restaurants. Dine Arounds are characterized by longer stops at each restaurant, to allow guests the opportunity to get to know one another and network. Groups are often able to enjoy special hands-on interaction with local chefs and culinary masters that may not be possible during our standard Food Tours. Our Dine Arounds can be customized to accommodate any budget, ranging from a more casual experience to a high-end VIP affair. Beer and wine pairings can be added are at each restaurant to compliment the dishes. 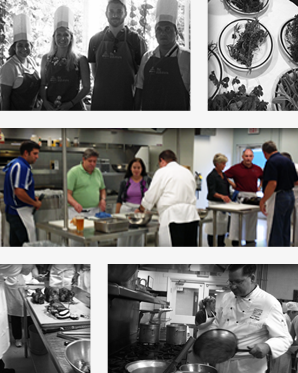 Our culinary challenge series of events are completely customizable team building events created in order to bring groups together in a completely different environment. From the 'Iron Chef 'inspired event to our 'Around the world' event, we can find the right event for your group. If you are looking for something different than our offerings, just let us know. Our creative team will develop a new event to ensure we can meet and exceed the needs of your group. We are available seven days a week to serve you! This interactive teambuilding event involves individuals working successfully with others to learn about, gather, and find all the items on the list first and win a prize. Guided by their project plan and a series of tips, groups will hunt for food, drinks, and historic landmarks visiting between 4-7 establishments in a Baltimore neighborhood of your choice. Charm City Food Tours guides will guide groups throughout the area, providing a full tour that will help give teams with the information they need to beat the other groups. 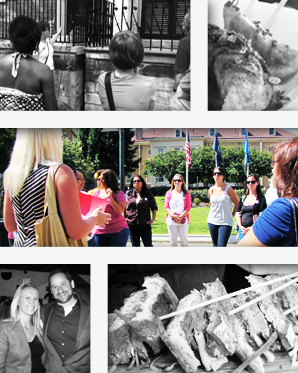 With over 5000 corporate clients, Charm City Food Tours and sister company 4Lobe Events has become one of the leading creative culinary teambuilding companies around. 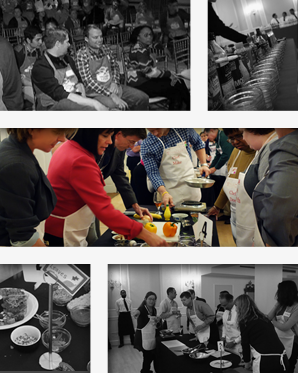 From Culinary Scavenger Hunts to Cooking Classes to Culinary Challenges, our teambuilding events and activities are designed to encourage collaboration outside of the office, as well as friendly competition. The goal is for individuals to effectively work together in different situations, in an environment that fosters innovation and teamwork. 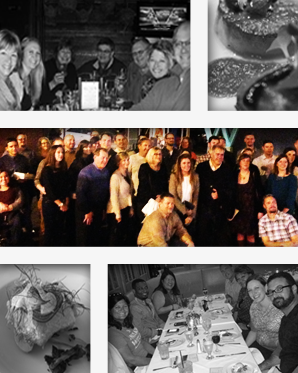 We can modify any of our events and activities to include interactive team building components. The hands-on cooking class allows guests to learn techniques and apply them immediately by creating a multi-course meal under the instruction of a local, critically-acclaimed chef. You have the option to choose a style of cuisine, the venue, and time frame to create a great cooking and dining experience. Choose to a create a variety of dishes with local, national, and international themes and styles, or let us provide you with some of our favorites. The cooking class can be run in a variety of venues throughout the city, based on budget, time, location, and other needs. Please call us for additional details. Our experiential single and multi day Food Tours will bring you in and out of the greater Baltimore area and Capital region. Visit historic city streets and enjoy legendary dishes and local, long-standing favorites while learning about the area's history and culture. Meet fishermen, farmers, winemakers, and learn about the products they grow, harvest from the Chesapeake Bay, the Atlantic Ocean, and the fertile lands throughout greater Baltimore and Maryland. Taste specially-made products originating from the region, and meet the locals that work timelessly to perfect and promote them. The Charm City Food Tours bar and pub crawls bring together great neighborhoods and classic drinking (and eating) spots for an unforgettable evening for you and your guests. The event combines a guided historic tour combined with stops at local bars and pubs. The guide will test guests' knowledge with a series of trivia questions, giving you the opportunity to win free drinks and shots. The Ultimate Pub Crawl combines drinks and food at 4 great pubs or bars for an unforgettable crawl. Please contact us for more information about either the standard Bar and Pub Crawl or the Ultimate Pub Crawl. 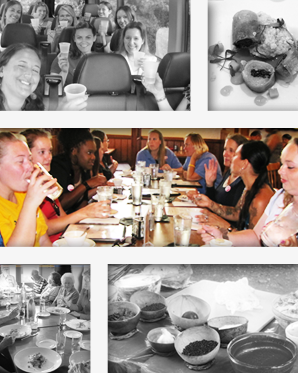 From multi-hour to multi-day tours, Charm City Food Tours has a student tour for nearly every group looking to explore Baltimore and the greater Washington DC area. Let us show you one of our all-inclusive tours, offering the best value, lowest prices, and exceptional safety and support. Student tours are available through Charm City Food Tours for either Baltimore or the greater Maryland/Virginia/Washington DC region throughout the year. From rehearsal dinners to bachelor and bachelorette parties, to family activities, to room booking, transportation and events, Charm City Food Tours and 4Lobe special events can provide you and your family with the services you need for your special day. Let us take some of the stress out of your wedding so your family, friends, and loved ones can enjoy the beauty of the wedding and associated activities. Let one of our event planners help you every step along the way, to set up your your wedding itinerary with great activities, events, accommodations and transportation. Our winery and brewery tours are set up for groups seeking to learn more about local wine and beer, and to meet the hard working individuals who keep the local establishments running. We work closely with our transportation partners to arrange a vehicle with which to visit multiple wineries in Maryland's and/or Virginia's wine country within the same day. You can also choose to incorporate a brewery visit into a custom Food Tour, Dine Around, or culinary event. The event team on Charm city food tours and 4lobe events can create and execute nearly any event for your group - from Dine Arounds to large-scale, 1000+ person catered events and activities. 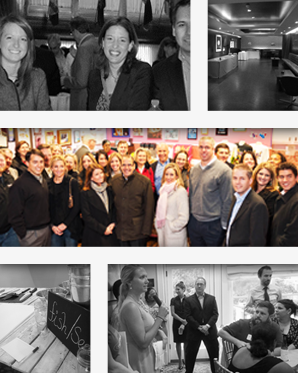 From concept development to execution, the award-winning and professional event staff can serve your needs. Our design team can put together posters, flyers, and anything you may need on the web or in person to promote your event in any way. Ask us for past products and we can show you what we are able to do. Our ticketing partner, Gimmel Tickets, can quickly create custom pages and set up purchasing to enable guests to easily buy custom event tickets and add-ons when needed. Our customer service team can take care of the rest by phone and in person.